The International Football Association's ethics committee banned its president, Sepp Blatter, from the organization for eight years on Monday. The association is known as FIFA. Also getting an eight-year ban was Michel Platini, the head of the European soccer federation, UEFA. The ruling came because of a $2 million payment from FIFA to Platini in 2011. The two men called it salary for advising the president. But according to the Associated Press news service, Platini had no such contract with FIFA at the time. The payment is also being investigated by authorities in Switzerland. Blatter was already serving a provisional ban over the scandal earlier this year when 14 FIFA officials were arrested on corruption charges. The organization will elect a new president in February. 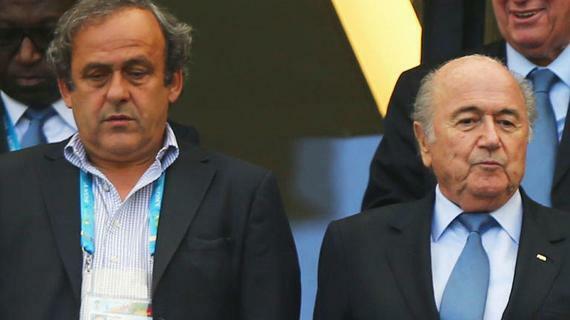 For many years, it was anticipated that Platini would take over for Blatter. That is not likely after the news of his eight-year ban. Also, Platini is not on the list of candidates for the upcoming election. Blatter promised to fight the ban in the Court of Arbitration for Sport. He denied doing anything wrong by authorizing payments to Platini, calling the lack of a contract an administrative error. Blatter said "I am now suspended eight years, suspended eight years. But, I will fight. I will fight for me and I will fight for FIFA." Blatter has been the president of FIFA since 1998. He is the head of a very good concern. They do everything according to Hoyle. This case, which shocked the whole nation, is now being investigated by the police. If you find any unnecessary things on the list, cross them out. 1.For many years, it was anticipated that Platini would take over for Blatter. That is not likely after the news of his eight-year ban. Also, Platini is not on the list of candidates for the upcoming election. The army are threatening to take over if civil unrest continues. My idea is let her take over me the work. 2.He denied doing anything wrong by authorizing payments to Platini, calling the lack of a contract an administrative error. They were laid off because of the lack of new orders. He was bored for lack of occupation.